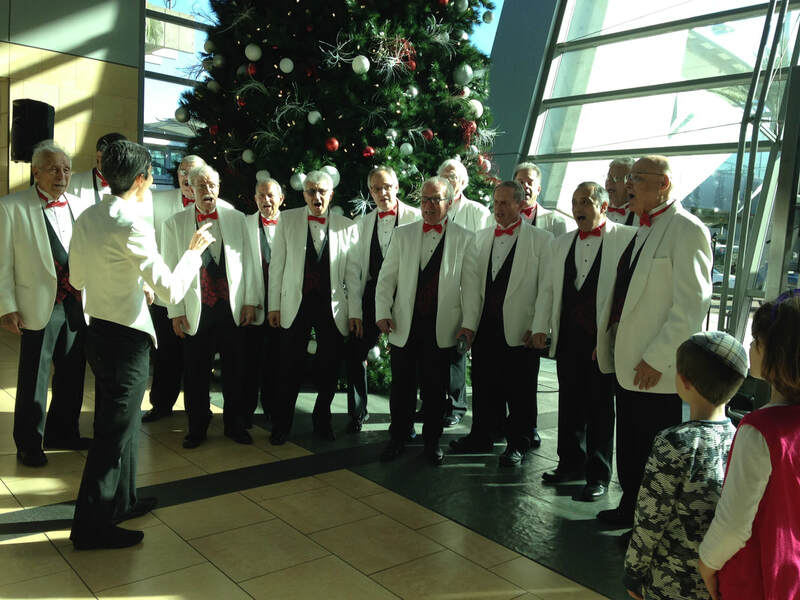 Sun Harbor Chorus was founded in 1946 when a group of dedicated singers organized to form a new a cappella chorus. We are part of the Barbershop Harmony Society and are dedicated to high quality singing, fellowship and fun. 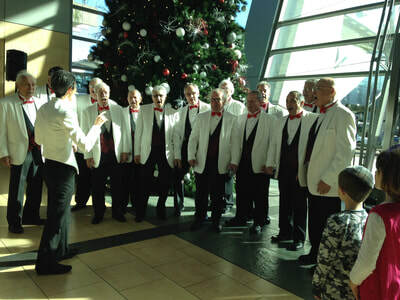 Sun Harbor Chorus welcomes men of any age, race, nationality, ethnicity, religion, sexual orientation or gender expression to visit us for an open audition. 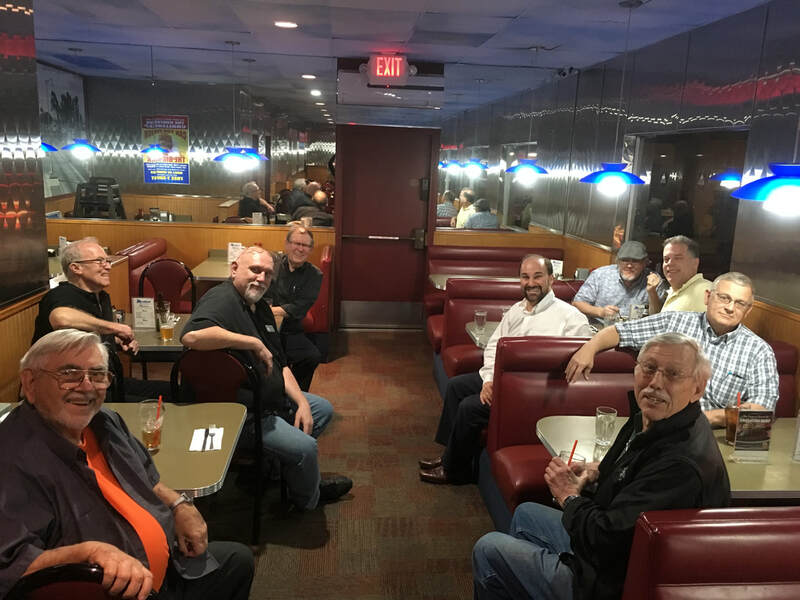 We enjoy meeting singers looking for a place to be part of a wonderful brotherhood filled with music, laughter and camaraderie. Led by director Kathleen Hansen, each rehearsal is a lesson in vocal and performance skills. The Sun Harbor Chorus aspires to be a dynamic, inclusive, entertaining men's a cappella chorus that encourages quartet singing and brings barbershop harmony to the greater San Diego Community by having fun in the pursuit of musical excellence. We build a spirit of camaraderie within our membership and entertain, educate, and serve the community of San Diego through outreach, education, and performance in the barbershop style. In addition to our Tuesday night rehearsals, Sun Harbor loves to perform for and serve our community. 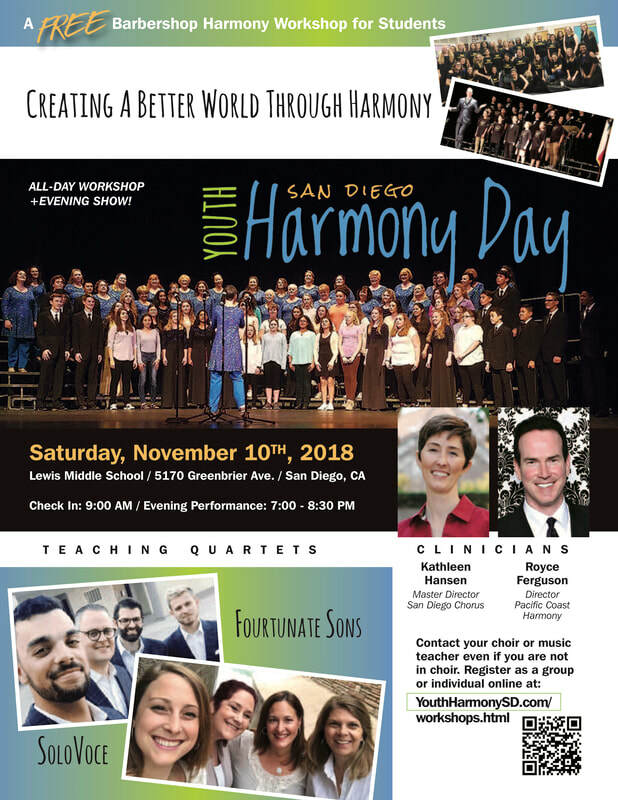 In combination with other choruses in town, we sponsor a Youth Harmony Day in San Diego. We expect over 100 young singers in 2018. Singers will come together under the leadership of world-class directors to learn and perform barbershop harmony and modern a cappella. Kathleen has been working in the field of music education since 1998 with students of all ages. She holds a bachelor of music degree, specializing in music education and trumpet, a single subject teaching credential and a master of music degree, specializing in conducting. 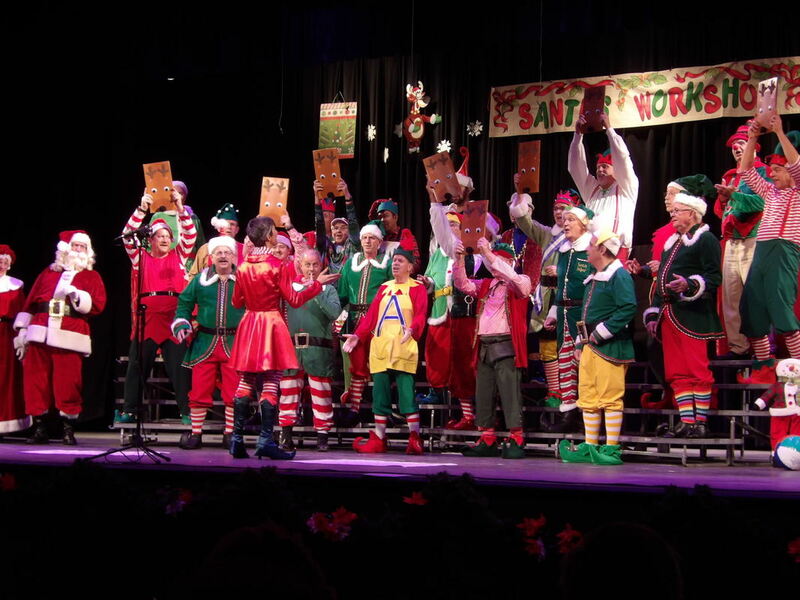 She has conducted both amateur and professional ensembles in many venues in San Diego County and beyond. In addition to her role with Sun Harbor, Kathleen serves as Artistic Director of the San Diego Women's Chorus and has achieved Master Director certification as director of The San Diego Chorus - a women's barbershop chorus that is a member of Sweet Adelines, International. Kathleen also operates Serenity Sound Healing, where she uses traditional Tibetan instruments as a therapeutic modality. We love meeting new singers! Whether you are interested in joining the chorus, or are just passing through town, all of our rehearsals are open to the public. Visit us on Tuesday nights in Balboa Park in Casa Del Prado in Room 207. 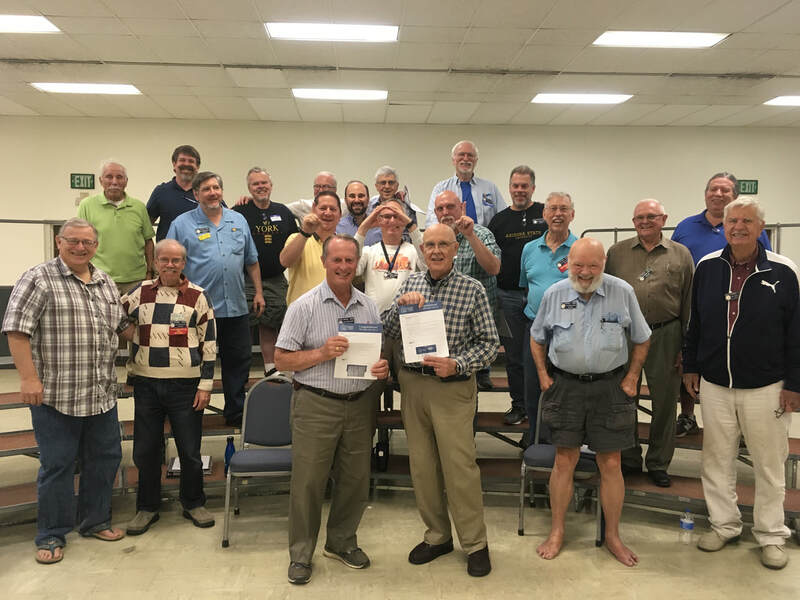 Sun Harbor Chorus has provided a harmonic home for men singing in the barbershop style in San Diego County for over 60 years. 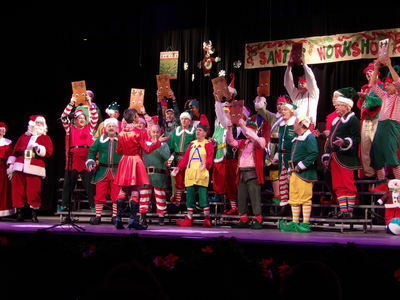 Barbershop harmony is a style of unaccompanied (a cappella) vocal music characterized by consonant four-part chords for every melody note in a predominantly homophonic​ (the same word sounds at the same time)​ texture. The melody is consistently sung by the lead​ (second tenor)​, with the tenor ​(first tenor) ​harmonizing above the melody, the bass singing the lowest harmonizing notes, and the baritone completing the chord. Occasional brief passages may be sung by fewer than four voice parts.